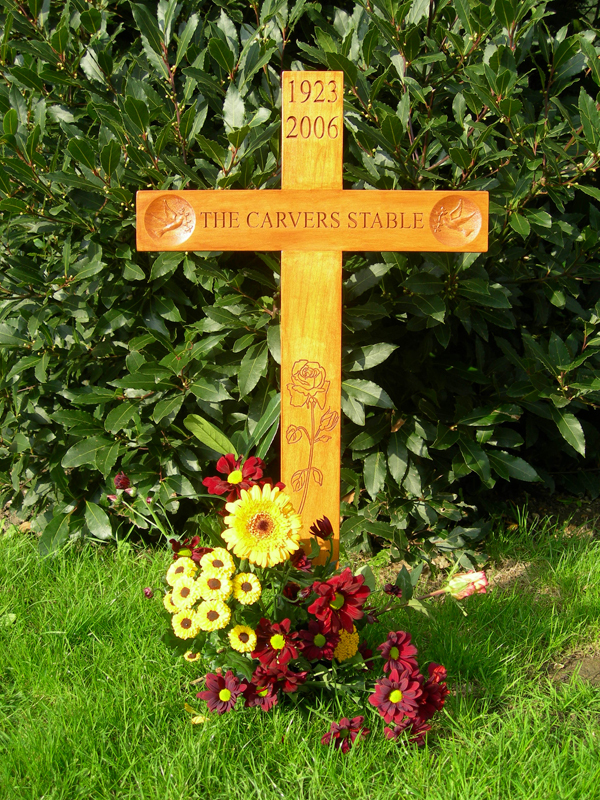 All our memorial carvings are carved from a durable hard wood, e.g. oak. They can be as diverse as personalised crosses for grave markers, through permanent markers for woodland burials, to memorial seats and memorial boxes. Some examples are shown below. 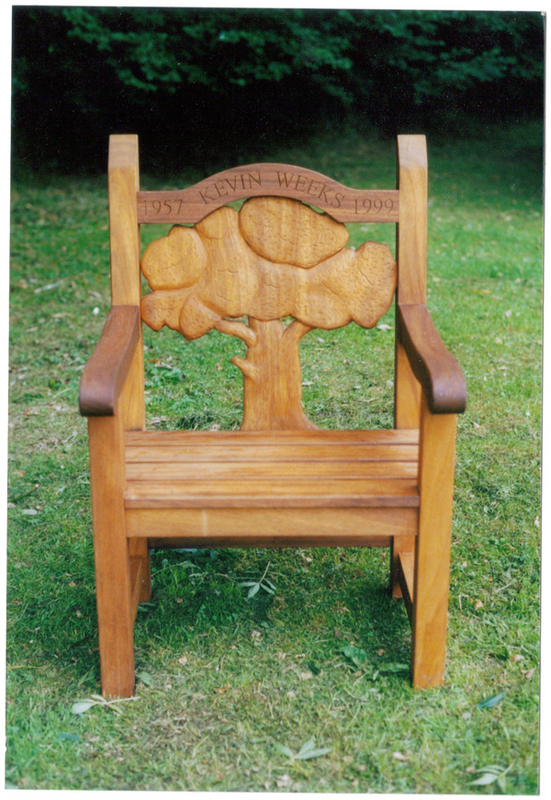 If you are interested in a memorial bench we are also able to carve the seat back to your requirements, but we need to do this before the bench is assembled. 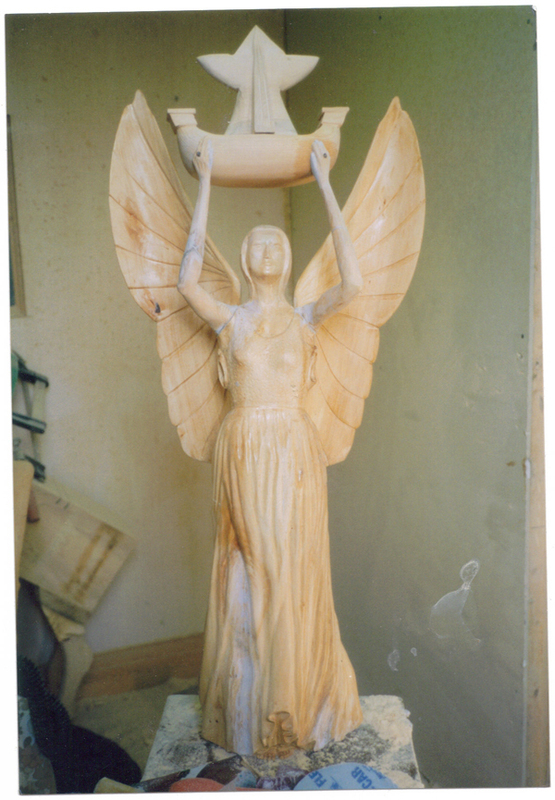 All memorials are made on a commission basis to meet our customer’s requirements. There are no limits on design. Over the years we have also completed a variety of ecclesiastical carvings for various church projects. These have included tracery panels for organ covers, panel carvings for pulpits, decorative pelmets, hymn boards and pew end panels. Some examples are shown below. 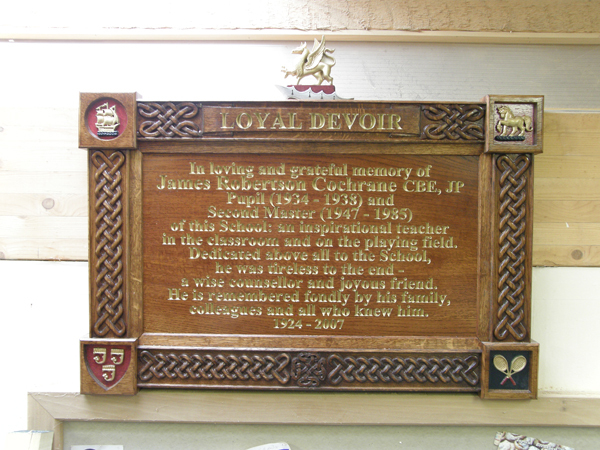 If you would like a quote for our memorial or church work please let us know your requirements on the contact form.